Next I create a basic layout of the towns that I've created in previous steps. For Jo'sRun, I needed a simple frontier town (population of 109) that had a simplistic walled fortification. This could be used as either a base camp, or jump off location to other areas in the region. 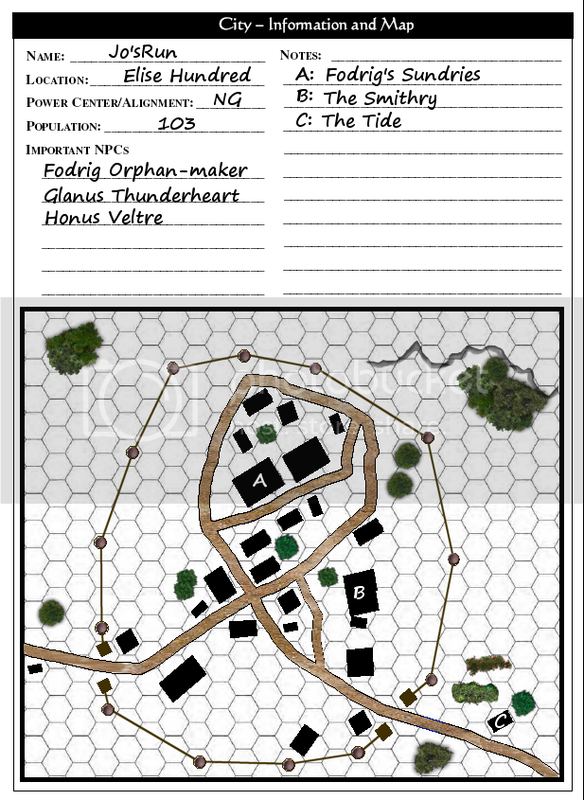 For this layout, I used RPG CityMap Generator and after adjusting all the settings, it produced a solid layout I envisioned on the 2nd try. I dropped in the 3 main shops in town, and called it complete. 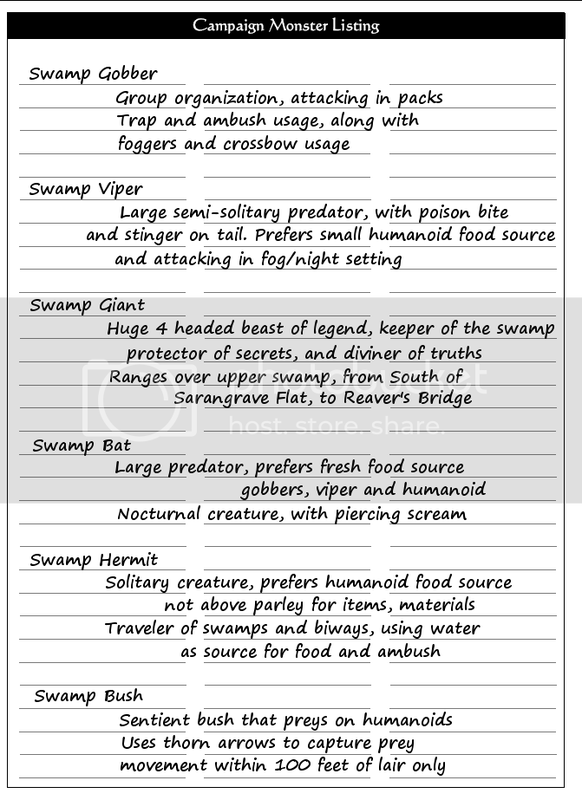 Next I developed a group of monsters for each region of the original map. Some have just a very basic framework, while others have complete stats and background.